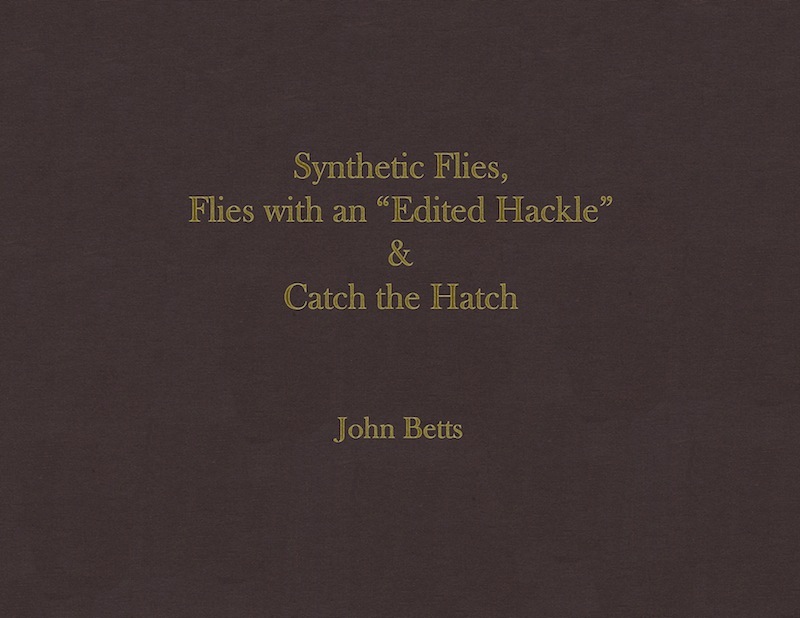 Synthetic Flies, Flies with an 'Edited Hackle' & Catch the Hatch by John Betts is now available in either softcover or a Limited Edition hardcover. Each of the 100 Limited Edition hardcover books has a hand-drawn fly fishing scene and are signed, dated and numbered by the author. Identical to the Limited Edition but with an attractive softcover binding. 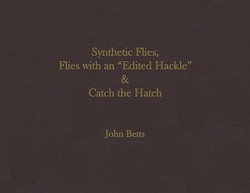 We are very pleased to offer Synthetic Flies, Flies with an "Edited Hackle" & Catch the Hatch by John Betts. privately published and have become rare gems in fly tying literature. I hope John's creativity and artistry will inspire you as it has me. Synthetic Flies (1980) explores the use of synthetic materials and introduces innovative materials along with tying and coloration techniques. Flies with an 'Edited Hackle' (1982) examines alternative materials and techniques to traditionally hackled dry flies. Catch the Hatch (second edition, 2000) was published as a stream-side guide to mayfly duns. Although reprinted here in gray scale, fly tiers will find the descriptions, sizes and coloration an invaluable aid to tying imitations.